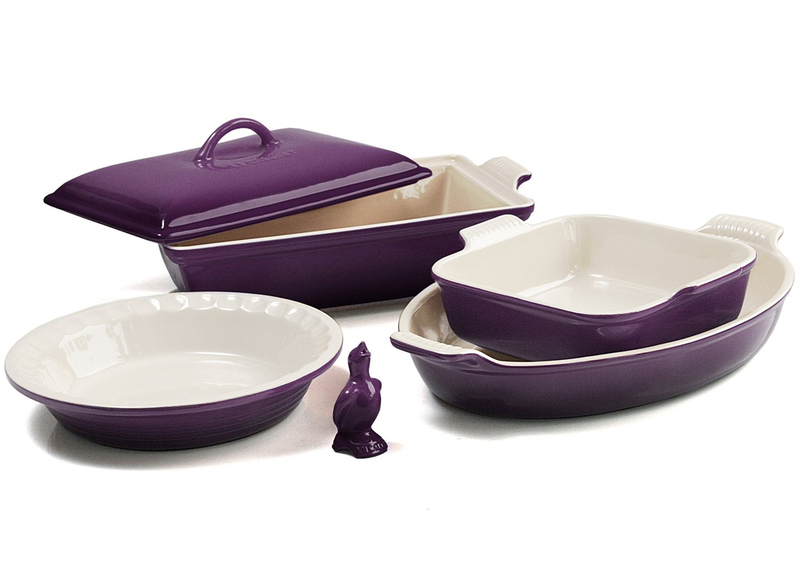 This Le Creuset 6 Piece Cassis Stoneware Heritage Bakeware Set features multi-purpose designs that offer all the even-heating benefits of stoneware in a variety of shapes and capacities to fit nearly any baking, roasting or broiling recipe. Each dish features grooved handles for a sure grip, plus Le Creuset’s glazed interior that protects against utensil damage, staining and odor absorption. $321 Sale $219.95. Free shipping. Buy here.